TobyMac’s Solo Records Ranked Six To One. #6: Eye On It | NoCoda. To hear the name “TobyMac” is as familiar to me as breathing. Jesus Freak was, is, and always will be standard that music is judged against. Say what you will. “It’s dated!” “It’s Christain rock!” “It’s….Jesus Freak! This is 2015!” No matter. That record shaped the foundation that my love for music firmly stands on. 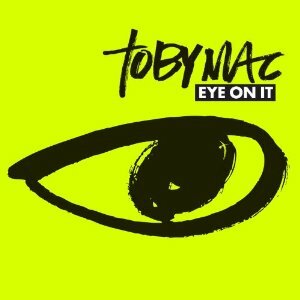 TobyMac was only part of the trio alongside Michael Tait and Kevin Max, but while looking at reviewing an artist’s entire solo discography, he simply seemed like the obvious choice to start with. He hasn’t put out any EPs along the way (like Kevin Max), or started a full new band that couldn’t simply be considered solo (like Michael Tait). Heck, those small items aside; he didn’t become the front man for freakin’ Audio Adrenaline or Newsboys like his former bandmates did! Let’s get down to it. Toby’s discography ranked six to one. The lone record in Toby’s catalog that I would clearly label a serious misstep. The pain about that last statement is that Toby is a business man; he made a whole life around dc Talk and this industry. So, I find it hard to believe that this record wasn’t a carefully crafted plan. Sadly, I’m sure it was, and whatever the inspiration was for it – well – it was certainly misguided. It goes without saying that Toby has gravitated towards a more CCM-pop sound as his career has progressed, but there’s a reason that I don’t (and you shouldn’t) listen to Casting Crowns, and it’s to avoid what Toby gave us on this record. Lead single Me Without You has a innocent electro-pop groove that is fun enough, but it’s no way near inspiring enough to start a record. Steal My Show comes next, and is a nice enough song that I’m sure the Dove Awards would love, but who’s putting this easy-breezy stuff at track number two?! Isn’t this is TobyMac record? Isn’t he supposed to bring some sort of party, or at least some energy? He tries with the party jam title track, along with the steady thumping of Unstoppable, but I can’t help but seeing kids jump around the room at Vacation Bible School while parent-appointed helpers try to round them up back to a table where their fruit punch and mini chocolate chip cookies on white napkins are waiting for them. We won’t even spend time the latter half of this record, with tracks eight through twelve being simply disposable. Family is cringe-worthy (ok, that may be a little strong, but I still don’t care for it). Made For Me is a love song for Toby’s wife that….well, the man wrote for his wife. I don’t like it at all, but how am I supposed to knock it? Favorite Song gets the fructose-filled kids bouncing around the room again to a mediocre pop beat that is way too sweet to swallow. Maybe the whole issue here is that I’m not a minivan driving soccer mom. Maybe Toby simply wanted to make an extreme CCM record. I simply don’t get why, with four other successful solo records under his belt at the time, that he thought this was the time to do it with such an abrupt left turn. Whatever. I just hope it’s all out of his system. I’ll be a fan of this gentleman until he stops putting out records, but Eye On It just didn’t connect with me in the least. I can’t end this review without mentioning the saving grace of this record, which is Forgiveness. Its lyrical content rings true, and its bass line (which is essentially non-exsistent on this rest of this record!) is enough to make it enjoyable. However, if we were putting together a fifteen track TobyMac retrospective, I still don’t think it would make it onto the final tracklist. That, in itself, makes it an easy decision to place Eye On It dead last in this ranking, and considering the rest of Toby’s body of work, the score is going to feel it. Forget it. Another half-point off for that terrible cover art as well.